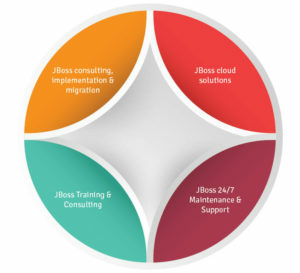 JBoss is a cloud-friendly, enterprise-grade products that help enterprises transform faster, in a smarter way. Our middleware expertise is just not limited, we provide an end to end solution along with a portfolio of other services to help you succeed with your implementation and application deployments. That is why we call ourselves as progressive innovators. The ultimate middleware portfolio for open hybrid cloud environments are our products and services that can help you accelerate application development, deployment, integrate data and applications efficiently, and automate business processes across physical, virtual, mobile, and cloud environments. Organizations of all sizes have dramatically lowered the cost of their application environments with enterprise open source solutions such as the JBoss Enterprise Application Platform. 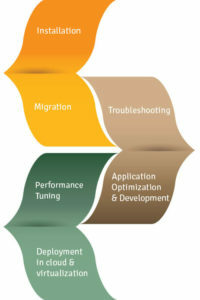 Several customers have found professional support services can expand the benefits of open source technology system. Expert support services will provide faster resolution, lower corporate risk, and more personalized services. Our Experience Delivers by driving efficiency up and cost down. 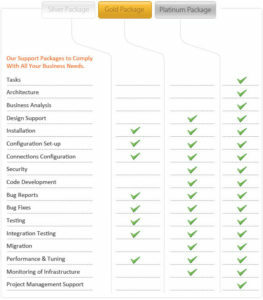 We bring in the right set of tools, functionality and flexibility to meet your prospective business needs. We encompass a proven methodology and framework to ensure successful outcomes. We understand it is not simple to find the right business solutions for your company. We are happy to direct you in detail. Contact us to discuss your requirements – Royal Cyber your true contender.